Standard Record Mode: Classic High-Speed Imaging – The TS5-H records beautifully sharp 1920 x 1080 video at 634 frames per second, while the TS5-Q records amazing 2560 x 1440 video at 359fps, in vivid color or monochrome. 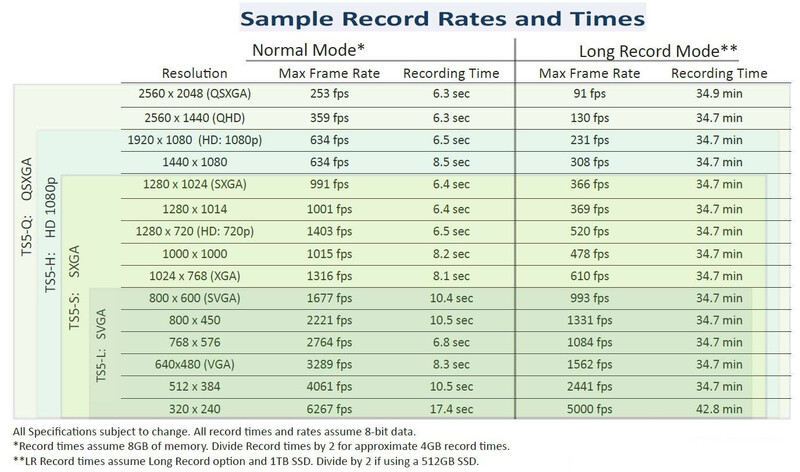 Smaller resolutions may be recorded at faster frame rates: 720p @ 1400fps, 800 x 600 @ 1677fps, etc. Binning and sub-sampling features of the sensor give the TS5 great flexibility and sensitivity. 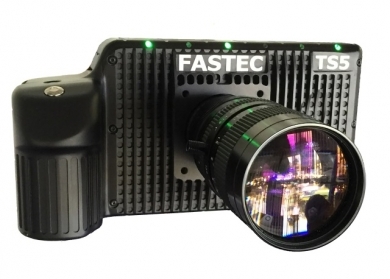 FasFire Mode – Ultra-fast save times to the onboard media while simultaneously recording high-speed bursts of hundreds or even thousands of images at a time, the TS5 is always ready for the next high-speed snapshot! Portability – With its small form factor, battery operation, large built-in LCD touch screen and intuitive on-screen menu system, the TS5 puts the power of both a traditional high-speed camera and long-record system into the palm of your hand. The TS5 is a true point-and-shoot high-speed camera solution. Multiple Storage Options – The TS5 features both a USB port and an SD port for quick and easy image downloads to USB flash drives, SD cards, or portable hard drives. The built-in SSD provides up to 1TB of lightning-fast non-volatile internal storage.